As soon as the ball rocketed off the bat, Bob Daniels figured the four-time Stanley Cup winner and Olympic gold medalist patrolling centre field wouldn’t bother trying to track it down. But then Chris Kunitz did what his former collegiate hockey coach had already seen countless times. It was a few years ago during the annual Ferris State University alumni charity softball game when Kunitz, who played four seasons with the Bulldogs, reminded the school’s long-time bench boss that he hadn’t lost an ounce of his competitive spirit. “Chris comes back pretty much every year for our alumni weekend,” started Daniels, the all-time winningest coach in Ferris State history, currently in his 26th season. “It’s a golf outing, but on the Friday night we have our alumni players play against the public safety officers from Big Rapids and Ferris State. Kunitz attended Ferris State from 1999 to 2003, where he helped lead the Bulldogs to the regional finals in 2003, in what was the school's first appearance in the NCAA tournament. That same year, he was selected as the Central Collegiate Hockey Association player of the year, earned All-America honours and was the runner-up for the Hobey Baker Award as the top player in U.S. collegiate hockey after a stellar 35-goal, 79-point season. In four years at the Michigan-based university, Kunitz netted 20 or more goals three times and finished with 99 goals and 175 points in 152 game. So, too, was Kunitz’s on-ice talent and will to win. 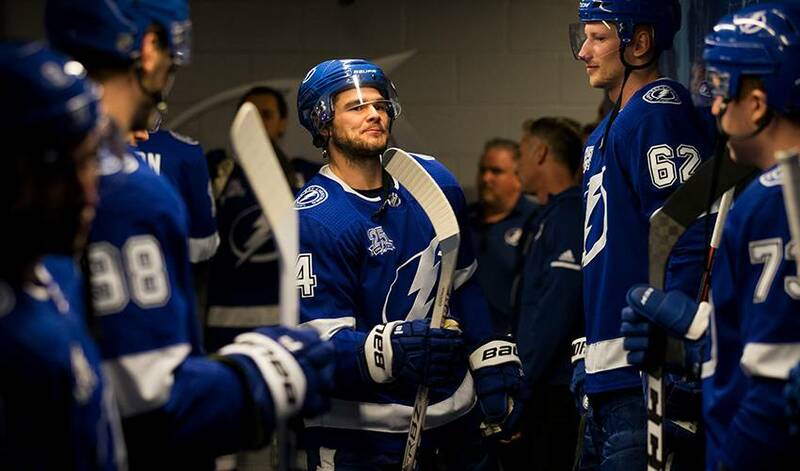 Less than 50 games shy of 1,000 over an NHL career that has produced four (three with Pittsburgh, one with Anaheim) Cup triumphs, Kunitz, now with the Tampa Bay Lightning, is still impressing the man at the helm of Ferris State’s men’s hockey program. How did Kunitz reach 951 NHL games? “I think that really goes to his competitive nature,” noted Daniels. “He’s always taken good care of his body. Everyone is competitive on game night, but you have to take care of yourself 12 months out of the year and Chris has done that. The fact that he does that and combines it with being such a good family man is really wonderful. And perhaps even on the diamond.